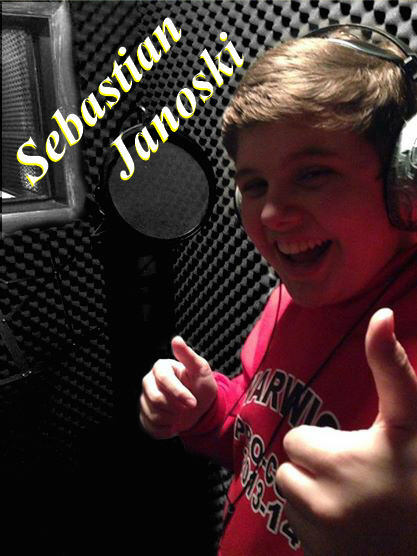 Sebastian Janoski is a teen singer from Pensylvania who is on the rise and auditioning for X-Factor and America’s Got Talent. New talent in 2012 Watch for more from him. Big voice for a young boy! 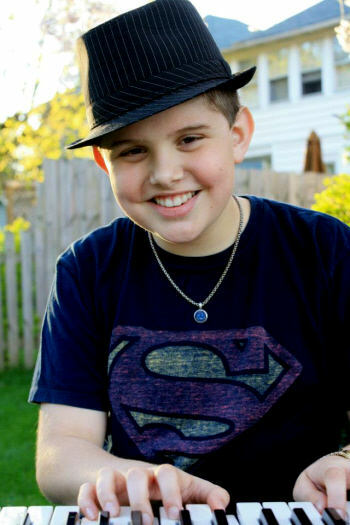 Record Labels, Movies, Singles, Music Videos, National Television, and Radio…..2014 looks to be another successful year for rising star Sebastian Janoski! I remember the first time I saw Sebastian Janoski. Stumbling upon a YouTube Channel with less than 10 videos and only a handful of subscribers, I see a 12 year old young man sitting at his picnic table in the back yard of his home, belting out a song while accompanying himself acoustically on his guitar. I was blown away! Nearly two years has passed since then, and for Sebastian Janoski, it’s been like a never ending roller coaster of career milestones that would keep even the most seasoned of performers in awe. His YouTube Channel now sports 89 videos with nearly 45,000 views. In our last update for Sebastian he had just returned from his 2nd appearance on The “Katie Couric Show” and at that time had no idea the new roads those appearances would take him down. That National Television appearance was obviously a success, because not long after that appearance, Sebastian was contacted by Award winning author and filmmaker Kenneth Del Vecchio of JFA Productions and the founder of the annual Hoboken International Film Festival. Mr. Del Vecchio took notice and reached out to Sebastian through Facebookinviting him to be his personal guest to the 2013 Festival. It’s definitely not going to be the last red carpet event Sebastian will be attending, because, not long after that, Mr. DelVecchio offered him a role in his upcoming movie “Rock Story” starring the likes of Academy award nominated actors such as Eric Roberts.